Singer-songwriter Liz Phair’s Exile in Guyville is about to turn 25, and Matador Records is making sure that anniversary doesn’t go unnoticed. 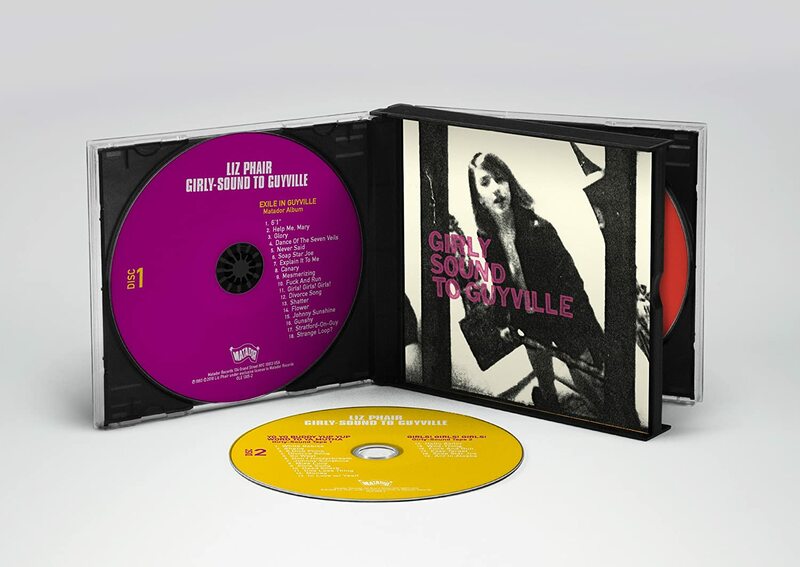 On May 4th, the label will issue Girly-Sound to Guyville: The 25th Anniversary Boxset, a 7-LP or 3-CD (or digital) collection tracing her artistic evolution from her three pre-Matador demo cassettes (originally released under the name of Girly-Sound) to her acclaimed debut album. Girly-Sound to Guyville kicks off with each of the three privately-pressed cassettes remastered and restored on vinyl, and now titled Yo Yo Buddy Yup Yup Word to Ya Mutha (Girly-Sound 1), Girls Girls Girls (Girly-Sound 2), and Sooty (Girly-Sound 3). Volumes 1 and 2 are pressed on two vinyl LPs, while Volume 3 takes up one LP. The box is rounded out, on two LPs, with a remastered version of Exile in Guyville. Additionally, the box set will feature a book with an oral history by Jason Cohen, drawing on interviews with Chris Brokaw, Gerard Cosloy, John Henderson, Chris Holmes, Tutti Jackson, Nash Kato, Mark Ohe, Casey Rice, Brad Wood, Tae Won Yu, and of course, Phair. Essays by Phair (“You Might Be a Lucky Star”) and Ann Powers (“Talking Back in Guyville”) are also included, along with rare photographs and memorabilia. For her June tour, Phair will exclusively perform material from the Girly-Sound tapes. For those interested in having the Girly-Sound tapes in their original cassette format, a bundle of three cassettes can be ordered directly from Matador to add to a box set pre-order. Lastly, the original Exile in Guyville album will be reissued on double-vinyl or single CD, also on May 4. Amazon links are currently available below for the vinyl and CD editions of the box set; the standard reissue isn’t yet available for preorder at Amazon.